Last week, I’m pretty sure I was witnessing moonshot thinking as an elementary school in my district connected with NASA for a 20-minute Skype call to the International Space Station (ISS). Checkout the 4-minute video below for a glimpse into the event. Note: Here’s a link to the complete Downlink call. I’m looking forward to watching how this awesome event shapes teaching and learning at this wonderful school site. Somehow when teachers, students, administration, parents, and community members team up for the purpose of promoting STEM (Science, Technology, Engineering, Math) activities, good things are bound to happen. As we head into the New Year, it is exciting to see a number of great video competitions open to students. From our regional spring SEVAs competition to NextVista’s national and international events, students can hone their 21st century skill set (critical thinking, communication, creativity, collaboration, (digital) citizenship) – as they build their ePortfolios and digital footprints. Storyboards – From printable storyboards to Mathew Needleman’s more organic approach to storyboarding, storyboarding is a starting point for creating a powerful PSA. Script writing – PSA Scripting Template – Thank you, Bill Ferriter, for this excellent resource! Rule of Thirds – This basic camera rule/practice will rock your world – and your students – if you’re not already familiar with it. Here’s a great video by Kids in Action on everything you need to know about the rule of thirds. Once you’re aware of the rule of thirds, it will change how you view videos – such as this trailer from High School Musical (thanks again to Mathew Needleman for sharing this one). Wide-Medium-Tight Shots – I had another big ah ha moment, right up there with learning about the rule of thirds, when I attended SECC’s SEVA Training session with News 10’s multimedia journalist Nick Monacelli. I recommend watching the entire 40-minute session on Building a News Story. But if you’re short on time, move the play head about 15 minutes into the presentation and watch Nick explain the importance of taking B-roll footage. It’s B-roll tight shots – not transitions – that “professionals” use to quickly and smoothly move a story along. And the big ah ha? Hey, until hearing Nick’s presentation, I had not considered that almost never in a news story will you see transitions used. Aside from the rare dissolve transition, used to show a flashback or change in time, transitions are not part of an award-winning newscast. But, oh my, do students, especially elementary students, love to use transitions! Nick’s presentation could be just the tip students need to rethink the use of star wipes, for instance, in transitioning their viewers from one scene to the next. Jump cuts – In less than 2 minutes, the Grammar of Video Editing Tutorial: Jump Cuts, will demonstrate how jump cuts, using tight shots, quickly and smoothly move the story along. UJam – I am no longer envious of Mac users’ access to Garageband (I teach in a PC district), thanks to UJam, a free, web-based program for creating music – even if you (like me) are music-challenged. UJam was one of my favorite take-aways from last summer’s Merit program. ccMixter – ccMixter is a community music site featuring remixes licensed under Creative Commons where you can listen to, sample, mash-up, or interact with music in whatever way you want. I learned about CCMixter in Silvia Tolisano’s wonderful Digital Storytelling How to Guide for Educators. Jamendo – A rapidly-growing community of free, legal and unlimited music published under Creative Commons licenses. Video editing – Although I’m still grieving the loss of cloud-based JayCut, such an awesome freebie that even included green screen options – and allowed editing from both Mac and PC, eliminating all kinds of school-to-home/home-to-school issues – I continue to be grateful for iMovie, Movie Maker, and PhotoStory3 (one of my favorite digital storytelling tools!). And I look forward in the New Year to exploring free smartphone apps for filmmaking. I think one of the most important things we can do for students is to support and promote their efforts at becoming effective multimedia writers. Providing tools and tips is one way – along with providing authentic audiences. Over the next month, I’d like to gather a comprehensive list of student video competitions. If you know of any, please jump in and leave a comment. #1 – How the Internet is Revolutionizing Education – One of the many gems Discovery Education’s Dean Mantz has sent my way via Discovery Education’s Diigo group, this infographic makes visible the impact of the Internet on education. Can’t Just Google It – A great YouTube discussion starter with students about the need to question information. Love the daily gems that arrive each morning in the National Writing Project (#wnp) Daily. Thank you, JoAnn Jacobs, for re-tweeting Paula Naugle’s Tweet with the video’s URL. #3 – Khan Academy and the Effectiveness of Science videos – Since the Khan Academy is included in the above infographic, I re-watched a YouTube video posted by Leila Dibble to the Merit 2011 ning (I’ll be blogging more about the Merit program, which I’ll be participating in during July). This intriguing video explores “students’ common misconceptions in a video alongside the scientific concepts has been shown to increase learning by increasing the amount of mental effort students expend while watching it.” Seems like a perfect inquiry-based project in the making for high school science teachers to involve students in documenting their prior knowledge/understandings of a concept. This morning, I headed across town to the Twin Rivers School District to attend a 3-day training sponsored (sort of) by Intel: Transforming Learning with One to One. Algebra Help – “a collection of lessons, calculators, and worksheets created to assist students and teachers of algebra” – and then some. Visual Ranking Tool -Also from Intel’s Thinking Tools collection: “Identify and refine criteria for assigning a ranking to a list. Then debate differences, reach consensus, and organize ideas.” Note: Be sure to save your Visual Ranking to http://educate.intel.com/workspace/student so your students can access it from the login page. Cacoo – Love this free, extremely user-friendly online drawing! Cacoo’s main selling point is that it allows multiple users to create and edit designs collaboratively and in real-time. Way cool! How can blogging help extend elementary students’ summary writing skills? If you’d been with me Friday afternoon at David Reese Elementary School, where I had the privilege of joining 5th grade teacher Rudy Alfonso for his lesson on summary writing, I’m pretty sure you, too, would be inspired by the integral role his class blog plays in the writing process. Next the students read a piece from Time for Kids, She’s a Fashionista. Using a graphic organizer, the students unpacked the the story. From their graphic organizer, they moved on to writing their own summaries. But wait…there’s more. And this is when and where blogs and commenting take a paper-and-pencil assignment and extend the audience beyond Rudy. With both papers in hand, the students then head over to the scanner and upload the graphic organizer. 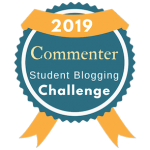 Next, they open the corresponding blog post, Summary Writing: She’s a Fashionista blog post, click on Comment, upload their graphic organizer, and enter their summary paragraph. But wait…there’s more. The last step is to grab a voice recorder (Rudy uses an Olympus voice recorder) and record a reading of their paragraph (which Rudy uploads to their comment). Rudy summed up the paper-to-blog process as significant because in the course of a month, he – and his students – can already hear their progress (great way to document reading fluency gains!) and classmates, family, friends, and the world can follow and comment on their progress. Good things are happening in our public schools. And new technologies, such as blogging, under the guidance of caring, innovative teachers, are helping to level the playing field beyond the confines of the classroom, school site, and surrounding community. I think one of the most powerful learning tools teachers can bring into the classroom is a poster of the updated Bloom’s Taxonomy. Considering how many print-ready posters are already online, if I were an administrator, I’d provide all my teachers with full-blown, color-coded charts they could easily point to and use as a framework for discussing the multiple approaches to conquering content standards. The power of a Bloom’s Taxonomy is maximized when students align everything from daily assignments to long-term projects to the six levels. 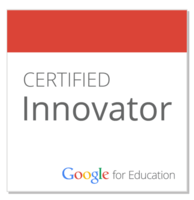 I recently joined elementary computer lab teacher Kelly Tenkely for a wonderful Elluminate session on Creative Thinking with Digital Blooms Taxonomy webinar. Her presentation is on the LiveBinders site and includes samples of the grade-level appropriate graphic organizers, such as the peacock below, she – and her students – have developed to help think through the levels various assignments fall into. As Kelly explains, “I created the Bloomin’ Peacock to show teachers the Blooms Taxonomy break down and the Bloomin’ digital Peacock that shows how the digital tools in the supplement break down.” By making Bloom’s levels more visual, her students become active participants in analyzing the steps (which are sometimes recursive) involved in moving from remember to create. For Kelly, the difference is between simply focusing on a tool itself to using that tool to extend learning across the content areas. The Visual Blooms Wiki is a great resource for more ideas on rolling out Bloom’s taxonomy with a 21st century skills frame. Check out the Web 2.0 graphic, which I just shared with a high school English teacher…who is now rethinking how his 11th graders will reflect on the lessons of the Holocaust and Elie Wiesel’s powerful survivor story Night. With so many possibilities for learning tied to and promoted through shared conversations between teacher to students, students to students, students to teacher, and students to the world, I am intrigued by the structure Bloom’s Taxonomy provides for jump starting and guiding the conversations. A few NECC conferences ago, I attended a session with Chris Lehmann. He introduced the word “prosumer,” a combination of consumer and producer. Chris predicted this word would soon make its way into the English language. I am fortunate to work with a number of teachers who actively, consciously structure a students-as-producers model of learning. Each time I listen to Marco Torres talk about students as receivers of information vs. creators of information, I realize the importance of showcasing the work of these innovative teachers, so that their colleagues and administrators will begin to consider the price students who are locked into year-long test-prep programs will pay for being denied access to our increasingly participatory culture. 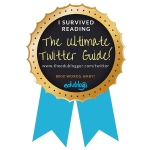 If you don’t feel like reading it in its entirety, it’s very easy to skim through, thanks to the navigation-friendly format. You might want to start with Key Trends and then move on to Critical Challenges. 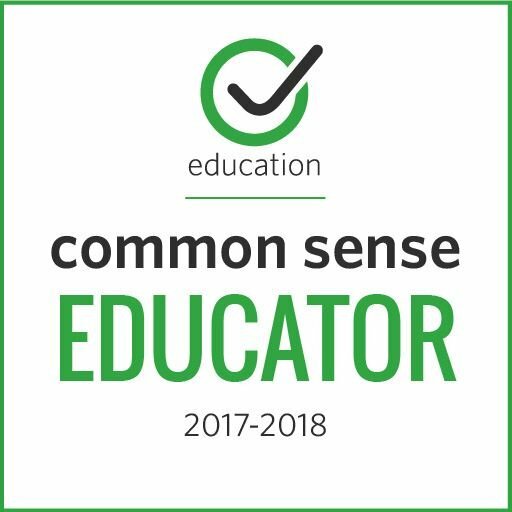 If you wish you had a presentation that you could tomorrow with your colleagues, the CoSN group has created a teacher kit, complete with PowerPoint, waiting for you to download from their site. 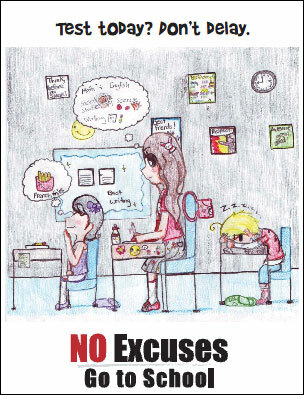 I truly believe that one small step towards meeting the critical challenges listed in the report could be a commitment at all sites to shift at least some of the school day into a create/produce mode. I would love to join – or co-facilitate – a conversation on making the shift from consumer to producer! If you have resources on the topic, please add a comment! Alfie Kohn’s Friday morning tweet was on my mind as I headed down the hill yesterday to my school district – and 24 hours later, I’m still thinking about how I would answer his question. I visit a lot of school sites, both in my day-time job and through a number of organizations I belong to. Most front offices and libraries have professionally done motivational posters. Some have student-done posters. I think the latter may be more reflective of a site’s educational philosophy than the former. 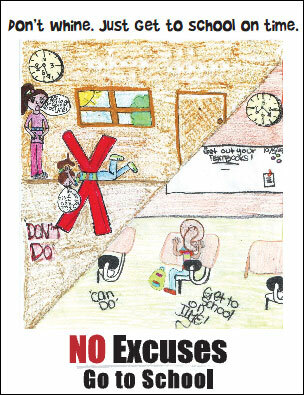 I think the purchased posters reflect where sites would like to be; student-done posters reflect more the realities of the school day. 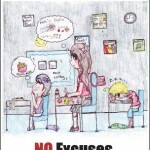 Take these three student samples, for instance, which were entered in a district-sponsored campaign to motivate students to get to school on time (click for an enlarged view). 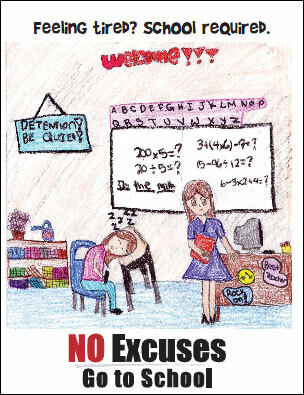 Could it be the lack of motivation for students to get to school on time stems from being greeted with messages such as “Take out your textbooks”or “Detention – Be Quiet” or a major part of the school day being spent sitting (daydreaming, sleeping) in rows? 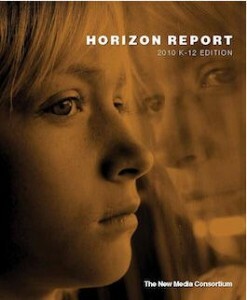 I recognize that change is hard and that all of us who are teaching in 2010 were born in the past century. But I am optimistic that change is happening, due in large part to how easy it now is to access mentor texts and teachers 24/7. 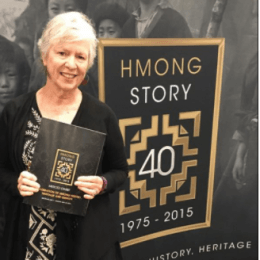 Cheryl Oaks, in a recent post to her Tech & Learning blog, What’s it like to be a students in today’s classrooms?, asks, “Would I be a different type of learner than I was 50 years ago?” She answers the question by providing some great online resources. What if students started the day, for instance, with a message on the board something like “log on to the Newseum and …” or “team up and head into David Warlick’s sources for Raw Data and …“? 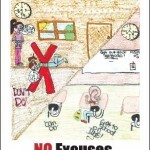 Would the No Excuses posters featured above reflect a different learning environment? I’m betting yes. I’ll end this post with a great video by Kevin Honeycutt, one I plan to share with colleagues as we continue conversations on what 21st classrooms should/could look like – maybe even eliminating the need for motivational posters;-). Skype is great tool…but movie making with Skype? Meet Mr. Alfonso, one of my EETT teachers, who I’m guessing can take any technology tool to a new level. His Meet the David Reese Bunch video is but one of a growing bank of samples of how movie making can promote shared learning communities. A visit to Rudy Alfonso’s classroom blog will provide you with a window into what the act/art of digital composing looks like in his 5th grade classroom. Forget any stereotypes of Title I teaching (sometimes limited to multiple-choice, lower-level thinking activities); they don’t apply to this classroom. Based on a recent visit to Mr. Alfonso’s classroom, one of my resolutions for the New Year is to document his students’ year-long learning journeys, including video interviews. 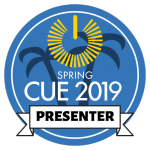 I’m pretty sure the end product will be an invaluable resource for other educators who want to provide a 21st century curriculum to their elementary students, but just need some tips and models. 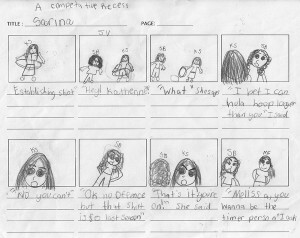 Wouldn’t you love to hear first-hand why Serena, for instance, who has completed her storyboard for her second movie and is now ready to move into production, has decided her first scene will open with the particular ‘Establishing shot” shown in her storyboard?! At the very minimum, I’m planning to add a monthly update on my digital travels with Mr. Alfonso and his class. I hope you’ll join me – and contribute to the conversation with links to what new technologies look like when they get legs and walk beyond workshops and into your classrooms. National Day on Writing – Come Join the Celebration! If you haven’t already marked October 20th on your calendar to take part in the National Day on Writing, please read on! 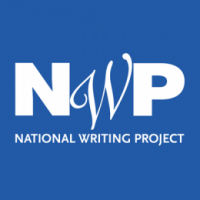 In recognition of how integral writing has become to all of us as we journey further into the 21st century, the National Council of Teachers of English (NCTE) is inviting our nation to come celebrate composition in all its forms by submitting a piece of writing to the National Gallery of Writing. 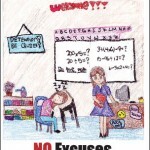 Why a National Day on Writing? celebrate the foundational place of writing in Americans’ personal, professional, and civic lives. emphasize the lifelong process of learning to write and composing for different audiences, purposes, and occasions. recognize the scope and range of writing done by the American people and others. honor the use of the full range of media for composing. encourage Americans to write and enjoy and learn from the writing of others. What a wonderful opportunity to write as an individual, a family, a classroom, a school site, a department – to write from all walks of life. All the resources you might need to get started with your piece are available on the website, from a flyer about the event to a link to Writing Between the Lines – and Everywhere Else, a look at how young people are using forms of digital media to reshape the process of composing. A huge thank you to all the folks at NCTE for your gift to the nation!